The co-owner of the rural Brooklyn farming operation where the man worked who is accused of murdering Mollie Tibbetts says they took what they thought were all of the proper steps to verify that the man was in the country legally. Dane Lang says Cristhian Rivera presented a photo ID issued by the state and a Social Security card when he applied for a job at Yarrabee Farms. “What we learned in the last 24 hours is that our employee was not who he said he was,” Lang says. “And just within the last four hours, we have come to learn that the Social Security Employment Verification System is not the same as E-Verify.” Lang says the family member who handled the verification did not switch to using the new E-Verify system when it began. Lang says they are part of the Brooklyn community and feel her death just like others. “I want you to know that all of us are saddened by the tragic death of Mollie, and the realization that one of our coworkers was involved,” Lang says. Lang says he cannot say the name that Rivera was using and other information about him because it is part of the ongoing investigation. He says Rivera worked for them for four years and was an employee in good-standing — meaning he showed up for work and got along with his co-workers. He says he would sometimes talk with Rivera briefly as he worked with the cattle, but had no idea that he would be involved in the murder. “This is shocking to us….I know what people do when they are here. I don’t know what they do when they are not here,” he says. Lang says he learned that Rivera was a suspect in the murder the same time as everyone else. 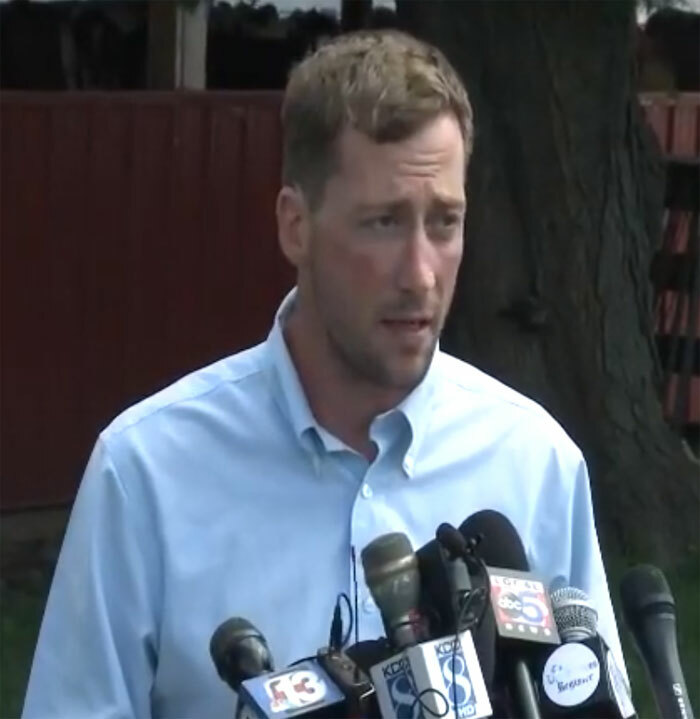 During a news conference on the farm, Lang said the most unfortunate thing is that the focus has been on him and the business — rather than on the Tibbetts family and the tragic death of Mollie. Lang co-owns the business with his father, Craig, who is the former president of the Iowa Farm Bureau.